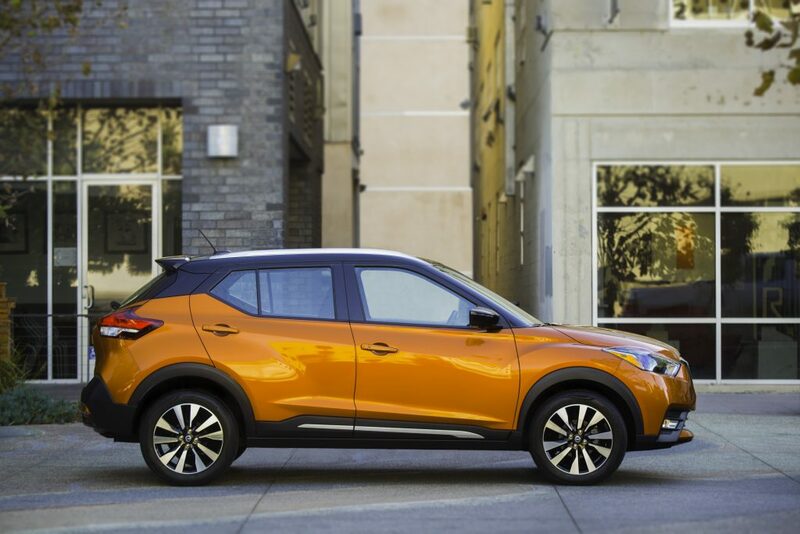 Nissan is giving the funky Juke the axe and offering instead a very handsome, cool looking crossover call the Kicks. 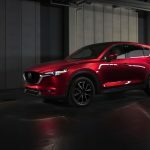 It’s bold, will offer lots of style and tech for the money, meaning that in typical Nissan fashion, the value proposition is huge. 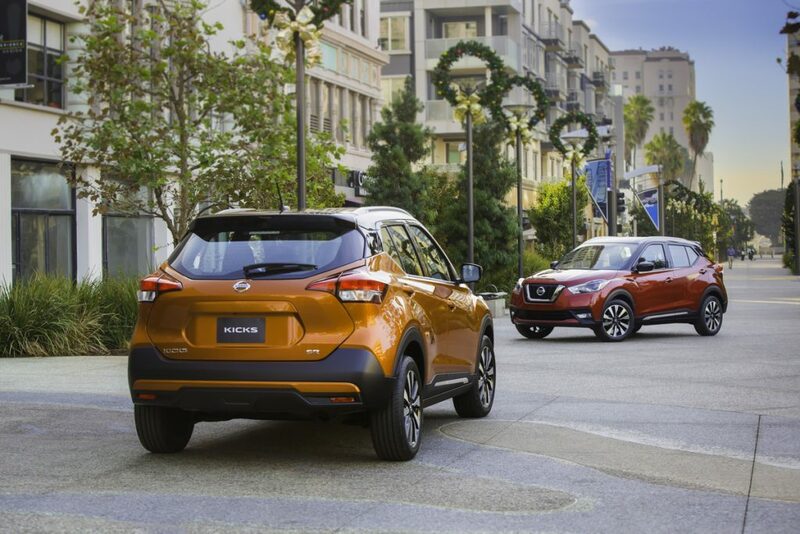 Compact crossovers like the Kicks, Rogue Sport, and Rogue are a hot items these days. 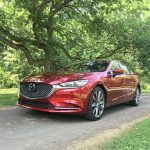 Nissan says Kicks is designed to fit the needs of singles or couples looking for expressive styling, personal technology, smart functionality and advanced safety features at an affordable price starting well under $19,000,” said Dan Mohnke, senior vice president, Sales & Marketing and Operations, Nissan Division U.S., Nissan North America, Inc. 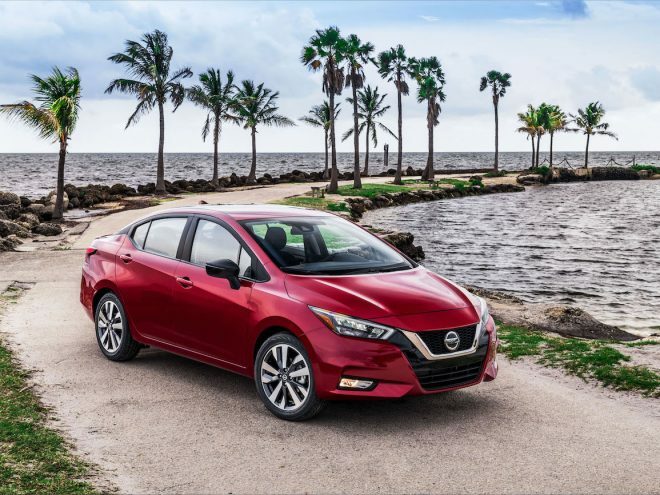 The new 2018 Kicks presents an expressive sense of style and substance with a wheel-oriented stance and Nissan brand signatures viewed from every angle. The production Nissan Kicks retains the basic design cues taken from the Kicks Concept – first shown at the 2014 São Paulo Motor Show. 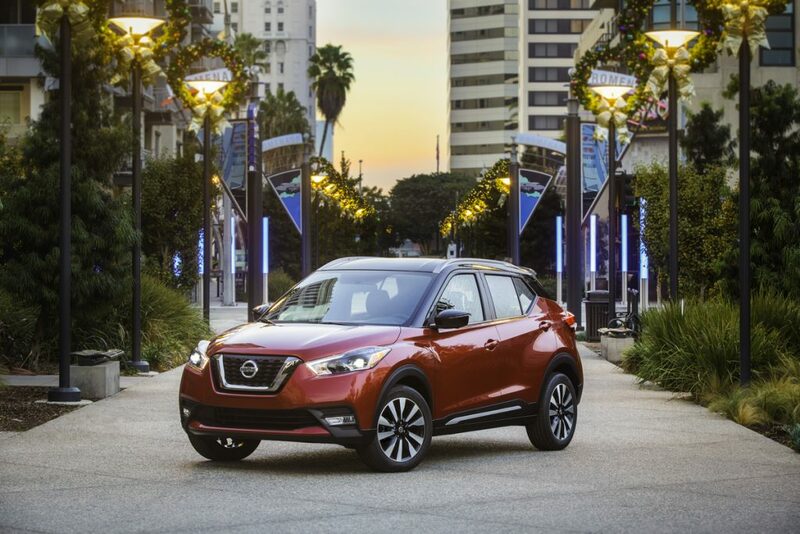 Overseen by Nissan’s Global Design Center in Japan, Nissan Kicks is the result of close collaboration between Nissan Design America (NDA), based in San Diego, and Nissan’s Rio de Janeiro satellite studio, Nissan Design America – Rio (NDA-R). Kicks combines emotion and practicality by blending familiar Nissan design signatures with striking modern themes. Among those established design signatures are Nissan’s V-Motion grille, boomerang headlights and taillights, and the floating roof with a “wrap-around visor” look to the windscreen and side glass. In particular, with the wide C-pillar “hidden” with a black finish that blends into the tailgate glass, the floating roof has been exaggerated on the Kicks, giving it a distinctive and eye-catching appeal. 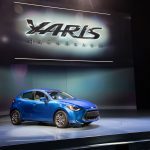 These themes are augmented by a number of dynamic styling features, such as the bold wheel arch fenders and the rising character line on the bodysides that accentuate the car’s crossover stance and inherent strength. This high waistline contributes to a sense of security and well-being for passengers, especially those in the rear, yet still allows excellent outward visibility for all. In addition, the dark lower body trim magnifies the body height, emphasizing the high ground clearance and helping resist scrapes. 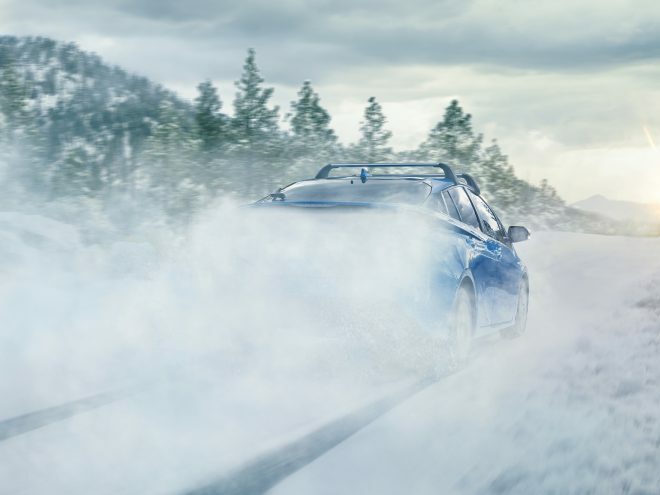 During the design process much attention was paid to the car’s overall aerodynamic performance, not only to benefit its dynamic performance but also its overall refinement by reducing wind noise. 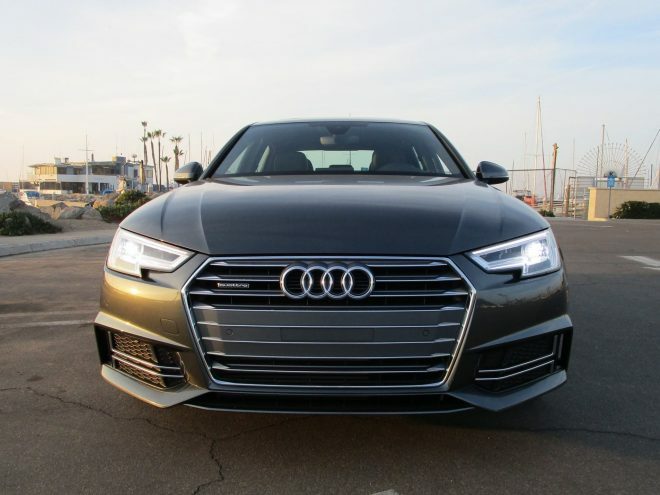 Available exterior features include standard Intelligent Auto Headlight (I-AH) with adjustable sensitivity and timing (including twilight and wiper activation), rear wiper and roof rails – along with available LED low-beam headlights with LED signature accents, fog lights, heated outside mirrors with integrated turn signals and rear roof spoiler. Inside, the Kicks story is one of quality and futuristic design in a cabin full of the innovative features expected by its tech-hungry target audience. The interior promises ample passenger space in the rear – despite the coupe-like roofline – as well as one of the largest load areas in its class. 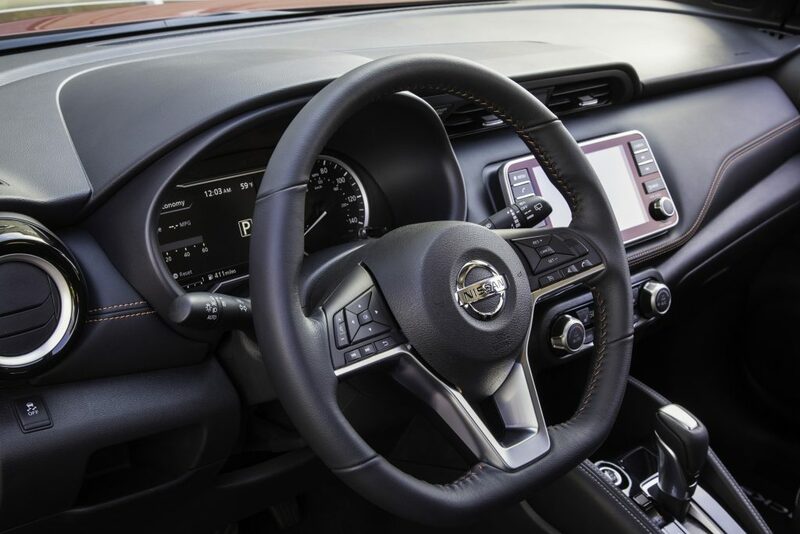 Front seat occupants face Nissan’s modern and simple “Gliding Wing” dashboard design, which is dominated by a centrally mounted 7.0-inch full color display housing a comprehensive infotainment system with available Apple CarPlay and Android Auto smartphone connectivity. And, for the ultimate audio experience, the Kicks SR Premium Package includes the new class-exclusive Bose Personal Plus sound system. 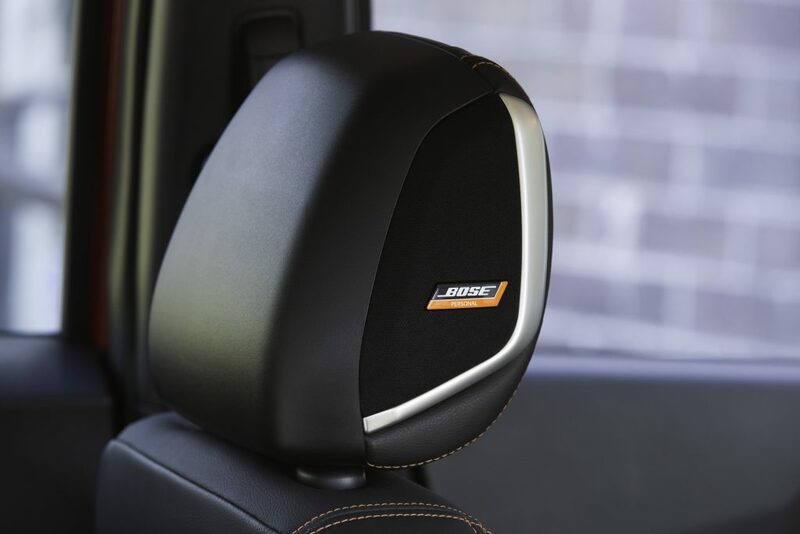 Part of the Bose Small Vehicle Series, it delivers a superior, driver-focused listening experience using just eight speakers and proprietary Bose signal processing to provide what Bose calls “360 degrees of immersive sound.” Key to its dynamic sound are a pair of lightweight 2.5-inch Bose UltraNearfield neodymium speakers located inside the Kicks’ driver’s seat head restraint. 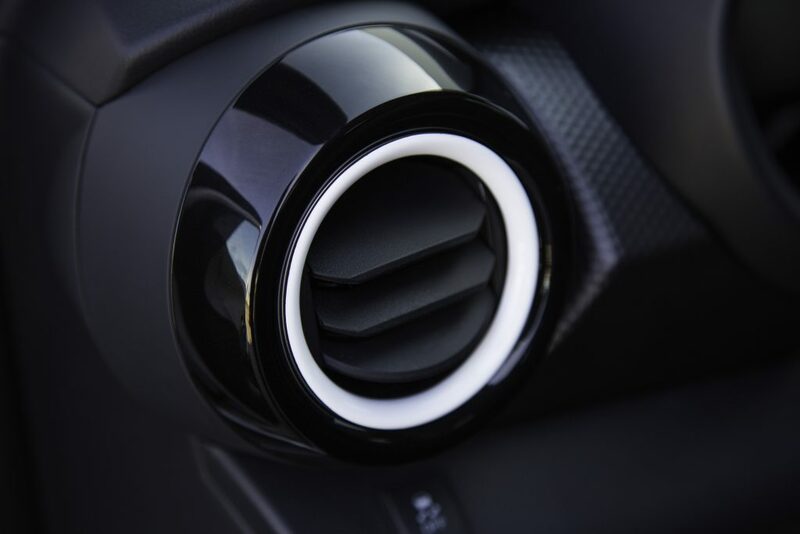 The system also includes compact 6.5-inch Bose Super65 speakers in each front door, cross-firing 1.0-inch tweeters in each A-pillar and 5.25-inch wide-range speakers in each rear door. 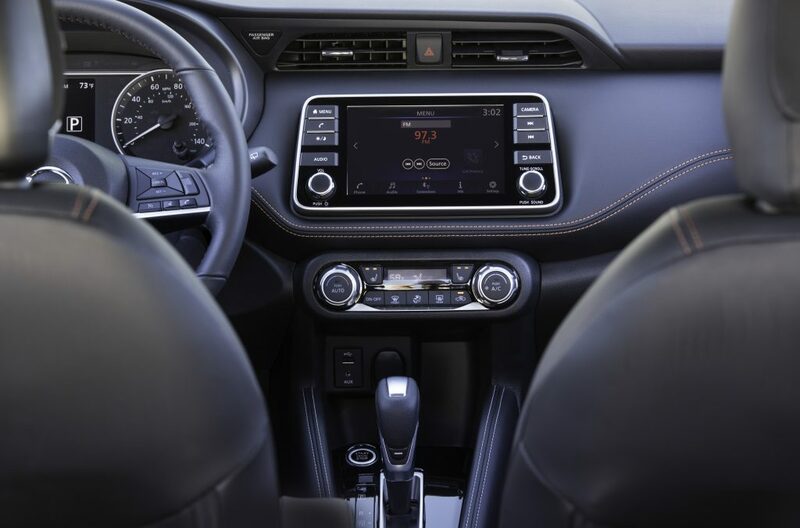 A Bose PersonalSpace Control feature is built into the infotainment system’s audio settings, providing adjustable listening options from front-focused sound to a wider, more enveloping experience. The system also includes a digital amplifier with six channels of custom equalization and digital system processing. Among the other on-board technology, Kicks features an available Intelligent Around View Monitor (I-AVM), which uses four on-board cameras to present a composite 360-degree bird’s-eye view of the Kicks, with split-screen close-ups of the front, rear and curb-side views. It also gives the driver an on-screen heads-up when it detects moving objects near the vehicle. 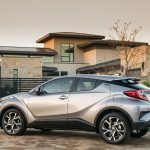 This is class-leading technology in this emerging U.S. CUV segment and offers a step on the road to Nissan Intelligent Mobility. 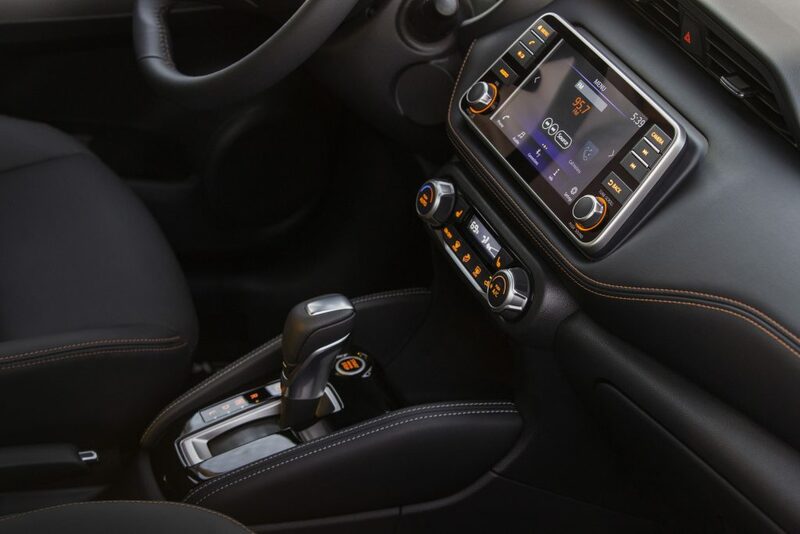 The versatile Kicks interior also offers a sporting flavor – provided by a flat-bottom steering wheel, comfortable 6-way driver’s seat, 4-way adjustable front passenger seat and 60/40-split fold-down rear seat. 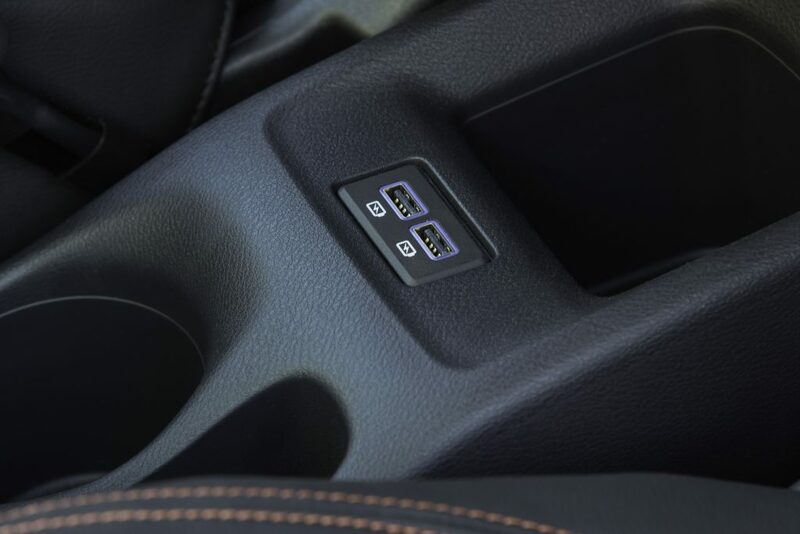 Heated Prima-Tex-appointed front seats are available with the SR Premium Package. 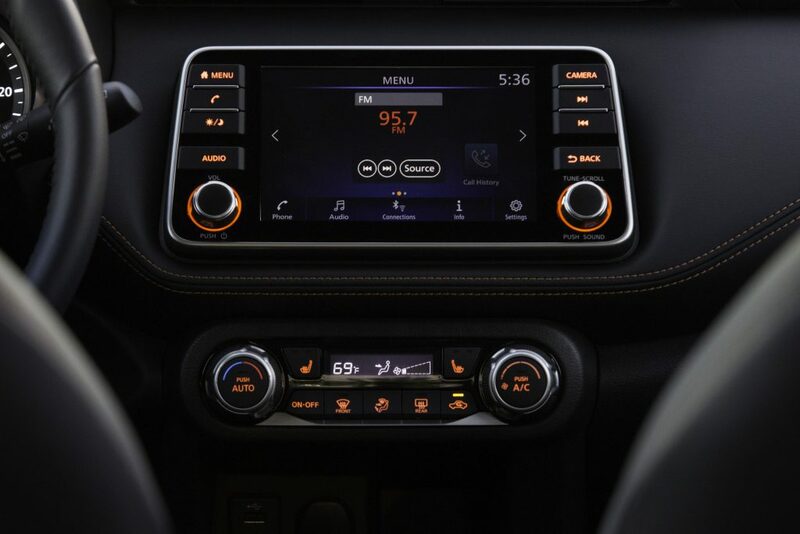 Other available interior features include leather-wrapped steering wheel and shift knob, tonneau cover and Automatic Temperature Control. The robust design of Kicks, which helps give drivers the confidence to comfortably navigate the city, is reflected in its stance. The Kicks has a ground clearance of 7.0 inches, allowing it to tackle poorly maintained roads and speed bumps with ease, without having an adverse effect on the handling. Kicks also offers efficient packaging for urban adventure use. The rear hatch opens high enough for a six-foot tall person to access the cargo area without having to duck. 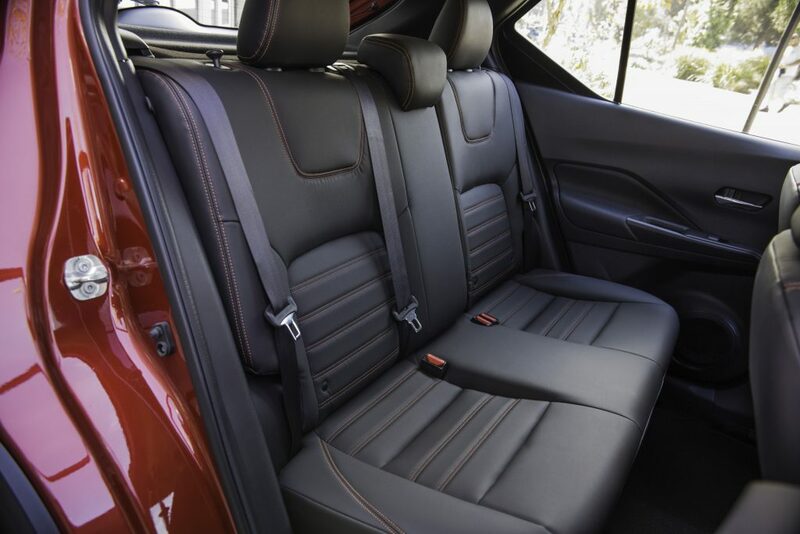 Kicks easily accommodates five passengers comfortably, thanks in part to the flat rear floor design and rear headroom and legroom that is similar to that of larger crossovers. 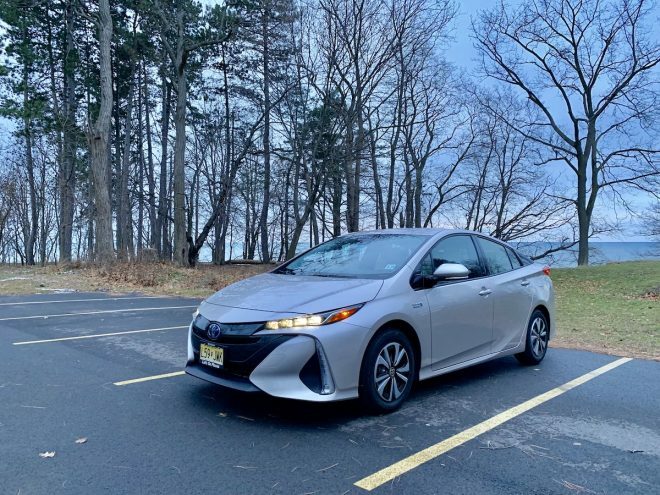 “With good ground clearance, a high eye point, electric power steering and small turning radius, Kicks is a great companion to navigate the city with,” added Mohnke. 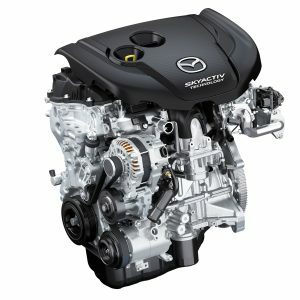 Every 2018 Kicks comes with a standard 1.6-liter DOHC 16-valve 4-cylinder with Continuous Variable Valve Timing Control System (CVTCS). 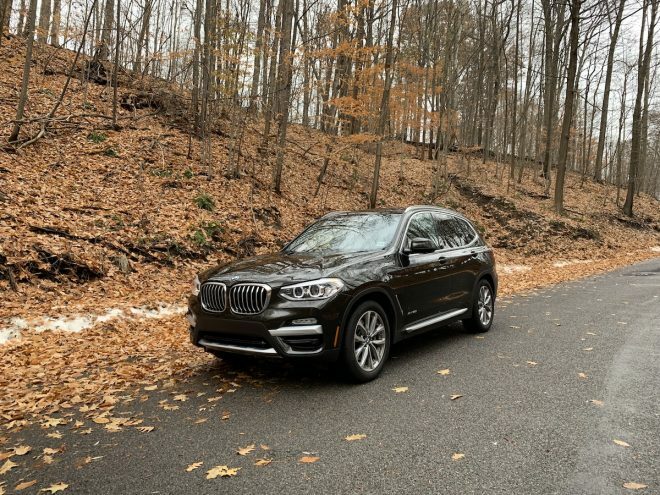 The engine is rated at 125 horsepower and 115 lb-ft of torque. 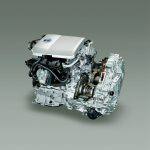 Aided by a smooth and efficient Xtronic transmission, the Kicks has fuel economy1 anticipated at 33 mpg combined. Kicks is offered in front-wheel drive only. 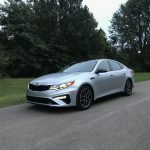 Kicks also offers standard Traction Control System (TCS), Vehicle Dynamic Control (VDC) and Hill Start Assist (HSA), front disc/rear drum Anti-lock Braking System (ABS) and electric power steering with a tight 34.1-foot turning radius. 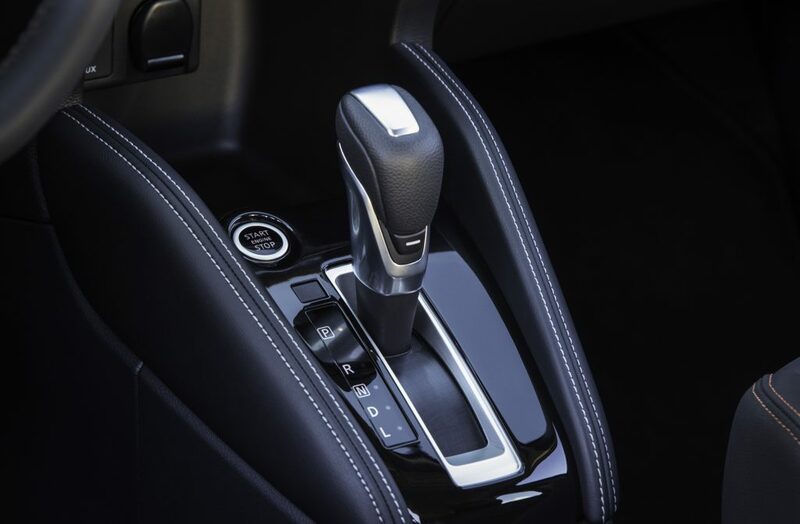 Kicks SR includes an Integrated Dynamic-Control Module (IDM), featuring Active Engine Brake, Active Trace Control and Active Ride Control, to help provide a higher level of driving enjoyment. 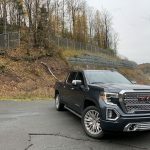 Nimble handling is provided by a strut front suspension with stabilizer bar, matched by a twist-beam rear with stabilizer bar and twin-tube shock absorbers. Kicks S grade comes with 16-inch steel wheels. The Kicks SV and SR grades have 17-inch aluminum alloy wheels mounted with 205/60R16 all-season or 205/55R17 all-season tires, respectively. 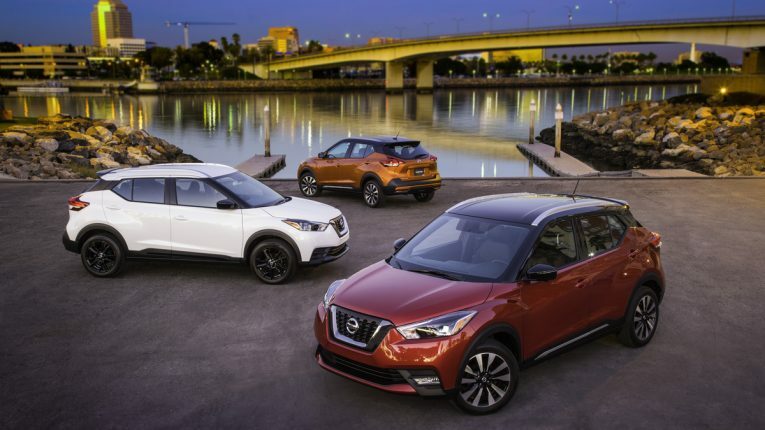 Safety, security and driver convenience features are strong points for Nissan Kicks. 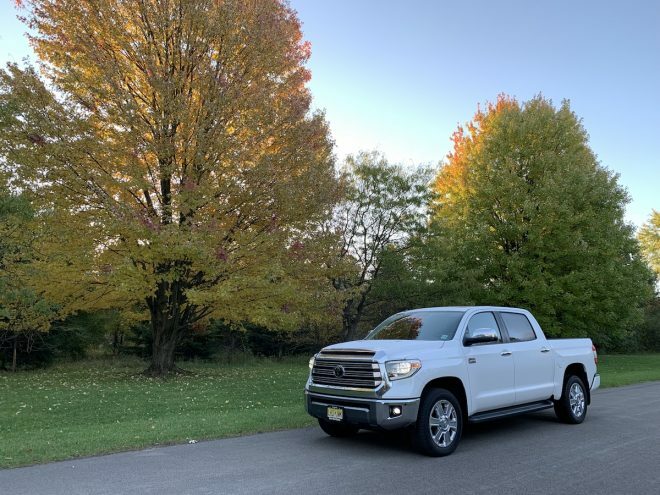 Automatic Emergency Braking (AEB) with Forward Collision Warning (FCW) is standard on all grade levels, along with seven air bags and RearView Monitor. Kicks SV and Kicks SR add Blind Spot Warning (BSW) and Rear Cross Traffic Alert. In addition, Kicks SR includes standard Intelligent Around View Monitor (I-AVM)3. 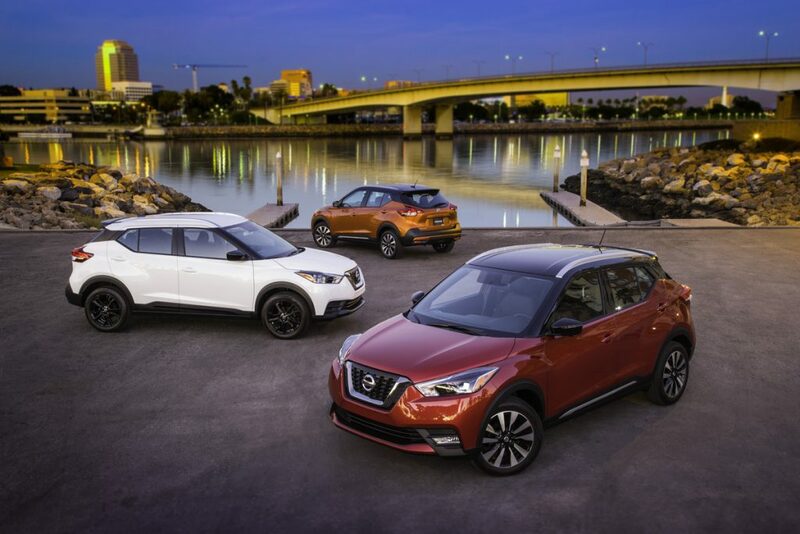 The 2018 Nissan Kicks will be offered in three well-equipped models – Kicks S, Kicks SV and Kicks SR. 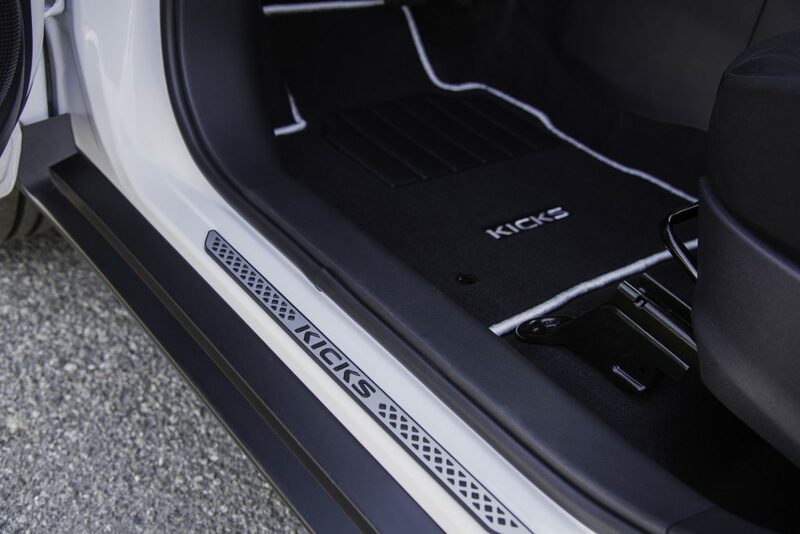 Among the list of standard features found on Kicks S are Automatic Emergency Braking (AEB), Bluetooth Hands-free Phone System, three USB ports, roof rails and Intelligent Auto Headlights (I-AH). Kicks SV includes a long list of additional features – Apple CarPlay and Android Auto, Blind Spot Warning (BSW), Rear Cross Traffic Alert (RCTA), Nissan Intelligent Key, 17-inch aluminum-alloy wheels, body color heated outside mirrors and outside door handles, rear passenger underseat heater ducts, tonneau cover, Automatic Temperature Control, Easy Fill Tire Alert, 7.0-inch meter display, SiriusXM satellite radio, Remote Engine Start and more. Kicks SR adds a sporty flair with the addition of LED low-beam headlights with LED signature accents, fog lights, black heated outside mirrors with integrated turn signals, leather-wrapped steering wheel, leather shift knob with chrome accents, SR seat fabric with interior trim and accents, front and rear bumpers with body color inserts, rear roof-mounted spoiler, dark chrome grille accents, Intelligent Around View Monitor (I-AVM) and more. 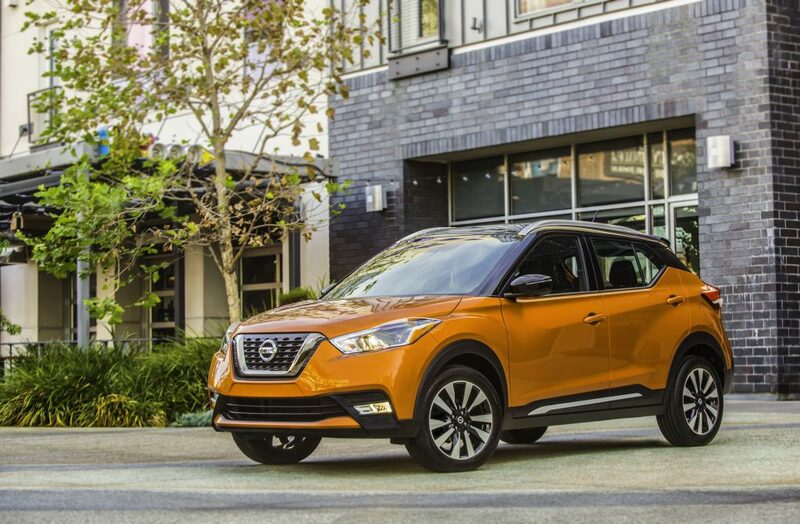 Full pricing for the Nissan Kicks will be announced closer to its on-sale date in spring 2018; we expect it to start around $18,500 and top out at around $24,500. Stay tuned!